Each package ordered contains TWELVE holders. You get 4 each of all three designs. CardCues Business Card Holders allow any business to take advantage of thousands of free community bulletin boards. 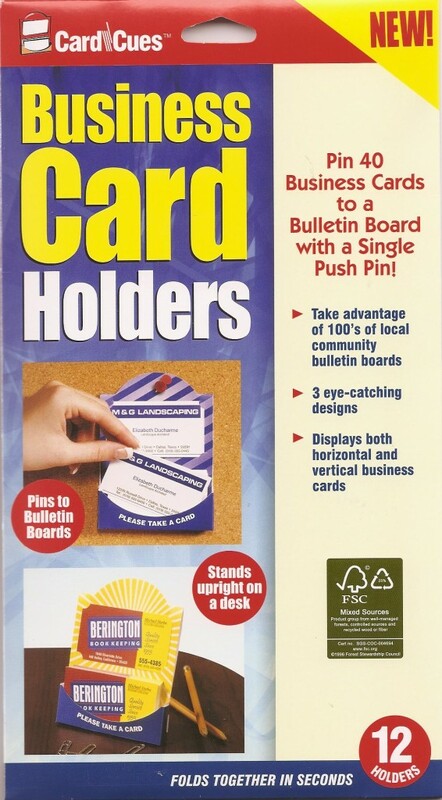 This inexpensive business card holder displays over 40 cards each and can be pinned to a bulletin board or stand upright on a desk. 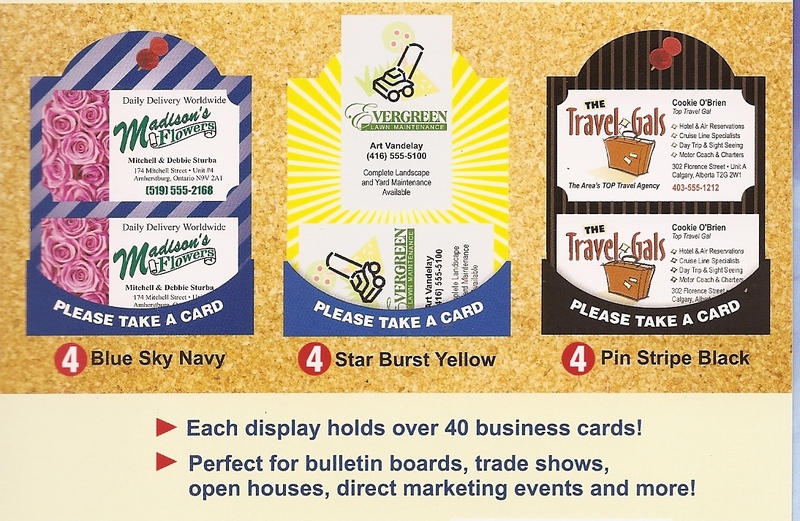 CardCues turns your business card into a display ad with staying power! Perfect for bulletin boards, tradeshows, open houses, direct marketing events and more!. CardCues keeps your message on display long after the first card is taken. Each pack contains TWELVE holders.